Our mindset is powerful. So powerful that it can affect our future. And that’s why having a growth mindset is so important. 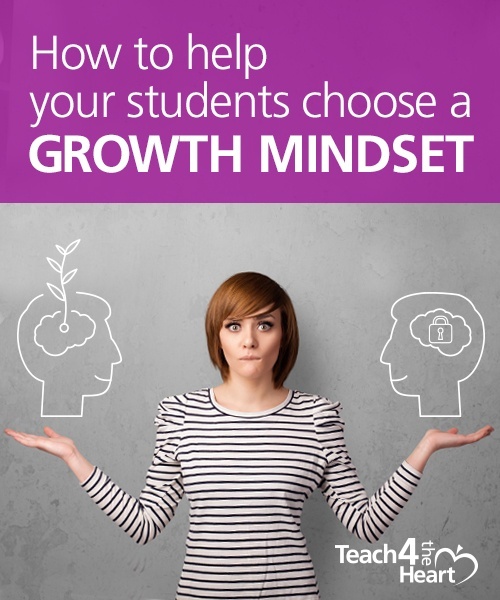 If you’ve been paying attention to new trends in education you’ve probably heard the term growth mindset quite a few times. If you know what it means, great – you can skip down to the section about changing what you think. 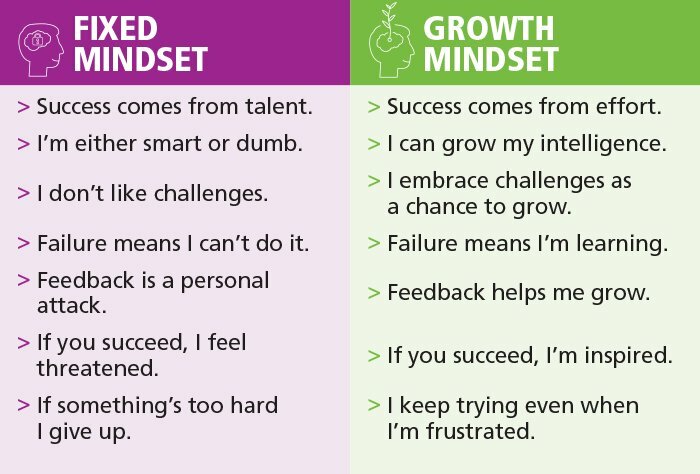 But for those who aren’t exactly sure what this means, let’s take a look at what exactly a growth mindset is & why it’s helpful. In a nutshell, those who have a growth mindset believe they can develop abilities through hard work. In stark contrast, those with a fixed mindset believe that certain abilities are out of their reach because they simply aren’t smart enough or weren’t born with enough talent. As you can imagine, students (and teachers) with a growth mindset are more resilient in the face of failure, more engaged in their own learning, and more apt to work hard to overcome a challenge. In fact, when you think about it, those students that frustrate us with their apparent lack of effort are probably stuck in a fixed mindset. And when we recognize that, we can see why they don’t want to try. But isn’t that an exciting opportunity!? If we can help them change their mindset – how they think about themselves and their ability to learn – we might just change everything. But how do you help someone change the way they think? Or, if you recognize the fixed mindset in yourself, how do you change the way you think? We could tackle this question from a myriad of different angles (and, in fact, at the end of this post I’ll share a whole bunch of articles from fellow bloggers that do just that). But for now let’s examine one simple process: How to take a thought captive & change how you think about it. These 6 simple steps can be super helpful for YOU when you're feeling defeated, and you can also use them to guide your students from a fixed mindset to a growth mindset. I'll explain each one below. And, to make things even easier, I'd be happy to send you a worksheet that will walk your students (or you) through these 6 steps. 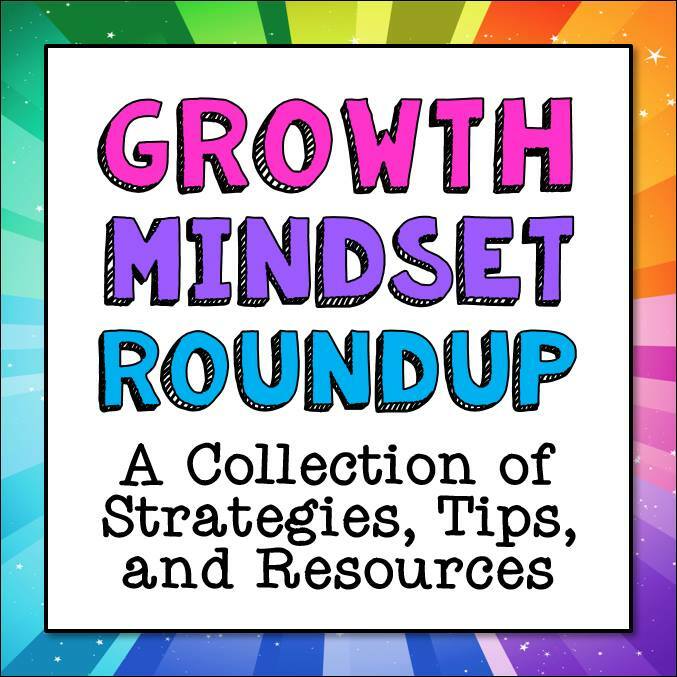 Request the Change Your Mindset worksheet. You and your students can go through these 6 steps any time a challenging situation comes up or any time you notice a fixed mindset thinking pattern. Before expecting your students to be able to do this on their own, model this process for them and go through the steps again together as a class. Don’t let stress derail the process. Pause and take a few deep breaths to calm down and clear your mind before starting. If you’re in a Christian school, this is a great time to pray for clarity and guidance. Step 2: Analyze your thinking. Now it’s time to identify the untrue (fixed mindset) thoughts that you or your students are believing. For example, if a student has been just staring at his work for 10 minutes, he may be thinking that he can’t do it, that he’s not smart enough, that even if he tries he’s just going to fail so it’s not worth it. Or, let’s say that you as the teacher are discouraged because your principal just commented about how you’re struggling to keep control in the classroom. You may be taking that feedback personally, feeling attacked. You may be thinking that you’re doing all you can and there’s nothing else you can do. Please note that it takes guts and honesty to actually put words to these feelings. Acknowledge this with your students and help them work through it. Step 3: Think about the truths that address your feelings/situation. Next, think about what the truth actually is in this situation (growth mindset). From our example above, the truth for your student is that they don’t have to have a certain IQ to learn how to do this. If they try their best, they will make progress. And that even if they mess up and fail, that’s okay. That’s part of the learning process. Or for you as the teacher, the truth is that you can choose to view feedback positively. Your principal is just trying to help you and your students. And furthermore, there must be other solutions out there that you could find if you decide to keep persevering. Step 4: Choose to believe the truth. ​It’s one thing to identify the difference between a fixed and growth mindset, but it’s another thing to actually choose to believe it. 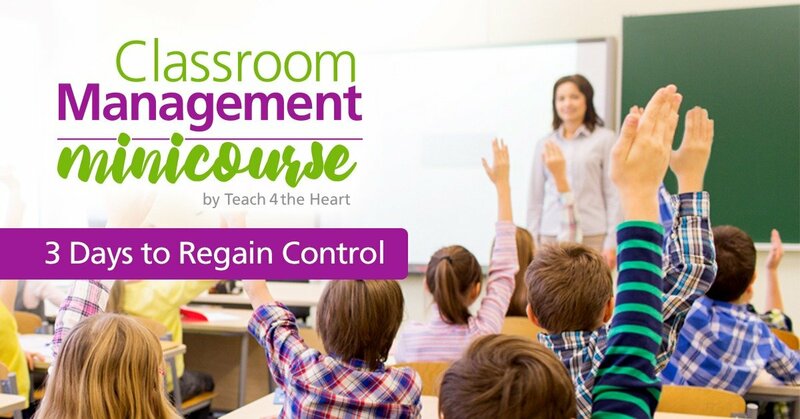 This is where your students (or you) have a choice to make – one that you can’t force them into. Will they believe the truth or stay stuck in their old way of thinking? Step 5: Change your thoughts regarding the situation. Next, identify what you SHOULD you be thinking about this situation. Write down the new thoughts. Step 6: Remind yourself of these truths any time the old thought patterns resurface. Every time they resurface, remind yourself of the truth and reject the old way of thinking. With your mind re-oriented, you’ll be ready to move forward. Want help remembering these 6 steps? 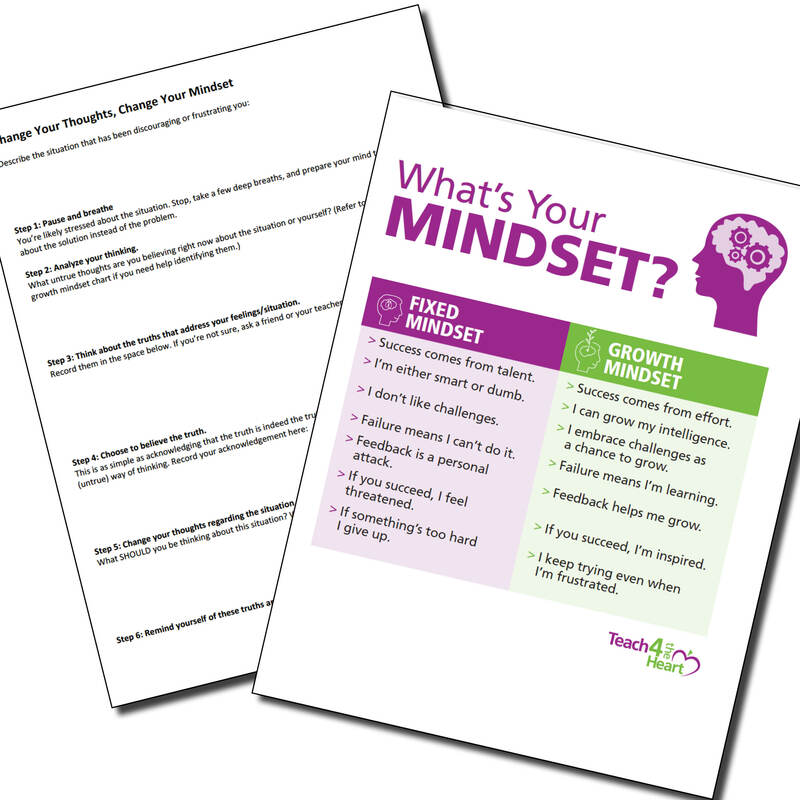 Grab our free Change Your Mindset worksheet & Growth v. Fixed Mindset chart here.